Anjer Inc. offers a wide variety of both storage and road trailers for rent. Our pricing is extremely competitive, and we offer the option of delivering the trailers. Storage trailers are used for on-site storage while road trailers are being transported on a daily or weekly basis. 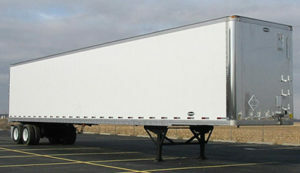 Anjer Inc provides its customers with clean, durable trailers for rent around the tri-state area. Our trailer rentals are mainly used for locations that need to load from a dock. Since trailer floors are approximately 48” – 52” from the ground, this is an ideal set-up for dock loading locations. We will deliver these rental trailers to many locations in the tri-state area, such as: Mercer, Ocean, Cape May, Burlington, Gloucester, Camden, Middlesex, Atlantic, Cumberland, Salem, Bucks, Delaware, Philadelphia, Chester, Lehigh, Northampton, Kent and Sussex counties. Anjer Inc has trailers to rent ranging in size from 26′ – 53′ long and 96” or 102” wide. Our storage trailer rentals are a cost-effective alternative to expensive warehouse leasing or building an addition. They are also useful for unexpected peak volume or to ramp up for seasonal activities. These storage van trailers are dock level, heavy duty units that come with many customizations available. Those customizations may include swing or overhead doors, aluminum or translucent roofs, E-track or logistic post for example. Anjer Inc’s van trailers provide a clean, dry, secure, on-site warehouse environment for your product. We offer storage trailers for short or long-term rent, as well as new trailers and used trailers for sale. In addition to storage trailers, Anjer Inc also has road trailers available for rent. These van or flatbed trailers are licensed and DOT inspected to haul loads over the road. Some of the areas Anjer Inc offers trailer service for are Mercer, Ocean, Cape May, Burlington, Gloucester, Camden, Middlesex, Atlantic, Cumberland, Salem, Bucks, Delaware, Philadelphia, Chester, Lehigh, Northampton, Kent and Sussex counties. Anjer’s Storage Containers and Trailers are available for rental in a variety of sizes and many customization options.They can be delivered to your site quickly, at very competitive prices. Trailers provide a clean, dock level storage with many customization options. Sizes 26′ – 53′. Dock level, heavy duty units. Customization options available. Sizes 28′ – 53′. Road ready Licensed and DOT inspected trailers. Customization options available. Sizes 20′ – 40′. 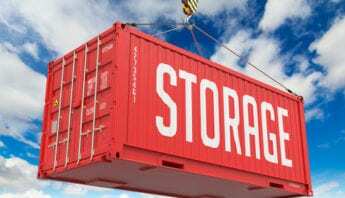 Ground level heavy duty storage units for sale or lease. Customization options available.